As I got older, the room once considered a “playroom” for my brother and I rapidly turned into a holding place for the myriad magazine piles I refused to let go of. Every floor corner or sliver of shelf was dedicated to a different vertical, ranging from Vogue to Elle to T Magazine. So attached was I to the über-fashionable fantasy world that such titles thrust me into that I endured many a tense conversation with my mother—her begging me to get rid of them, or, at the least, whittle my collection down to a mighty few. Leaving home and helping her through various moves led me to concede, if just a little, comforting myself with the notion that there would always be more glossy pubs to fill the void. Of course, the internet (my other, somewhat conflicting, love) has left that theory on shaky ground, with the state of publishing as a whole frequently questioned in light of the digital sphere’s reign. Now, with Monday’s announcement that Teen Vogue—an industry heavyweight regardless of its intended audience—will scale back its print presence to only four issues a year, there could be more cause for concern. Jim Norton, the chief business officer and president of Conde Nast, explained to Business of Fashion that the publication will be using the extra time and money to invest in digital, video, and social content while “creating collectible print editions [that] will better engage [the] audience.” These new themed issues, which will come in a larger format than the classic mini-mag version we’ve come to expect, will begin rolling out this spring. The hope is that this “keepsake format” will allow the Teen Vogue team to “dive deeper into the topics that matter most,” explained Elaine Welteroth, the magazine’s editor. The hope is that this “keepsake format” will allow the Teen Vogue team to “dive deeper into the topics that matter most,” explained Elaine Welteroth, the magazine’s editor. Although niche fashion magazines like i-D and Dazed & Confused set this trend years ago, with each scaling back to six issues a year in 2009 and 2013, respectively, Teen Vogue is the first mainstream American fashion title to do so, signaling what could be a shift in the industry at large. The news comes right on the heels of an announcement from InStyle UK that they’ll be shutting down their print editions altogether to focus solely on digital, causing many to wonder if their U.S. counterpart might follow suit. Industry insiders, willing to comment only under anonymity, seem conflicted. One media editor attributed the change to Teen Vogue’s younger audience, a digitally native cohort with less interest in or familiarity with print. As for whether the change will be industry-wide? She’s not convinced. But another experienced fashion writer worried that the magazine might follow in Lucky’s footsteps, dissolving entirely a few months after announcing its print reduction. While that route is certainly possible (in 2016—what isn’t? ), it’s worth noting how robust the Teen Vogue brand remains today. They’ve received special acclaim for their forward-thinking coverage of the political and social issues that have become almost impossible to separate from the fashion world, increasing their loyal fan base as a result. Now, given the time and space to dive deeper into such topics in every issue, it’s not hard to see how that same base will be eager to scoop up (and hold onto) a tangible piece of a brand they already love. 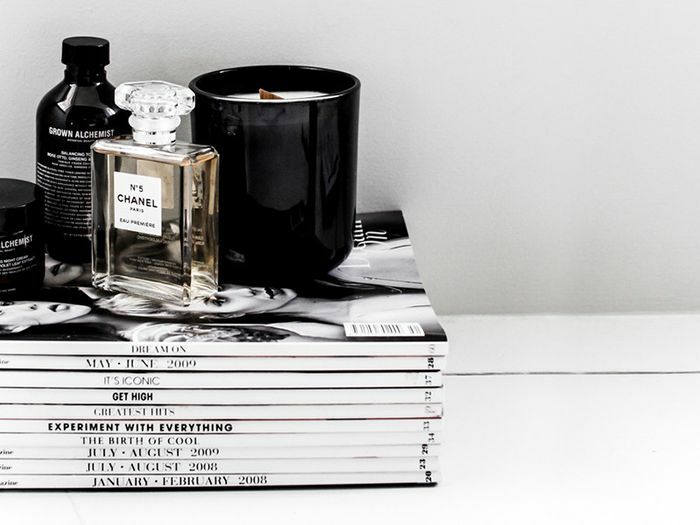 Every single page in this book is pure eye candy for fashion girls. You'll get a dose of fascinating fashion history from this tome. This book is a must for anyone wanting to break into the industry. Do you think other fashion magazines should follow Teen Vogue's lead? Tell us why or why not in the comments!